Need Us Today? We’re On The Way! Service & Repair, Maintenance or a new System Installation? We can Help. "Very trustworthy. Saved me a lot of money on what could have been very costly. He provided a quote of replacement for consideration which was below the normal pricing from most. Would definitely recommend him to my friends and family." "Excellent customer service! There were some issues that they resolved, no problem. Excellent communication and follow up.I will use them again and recommend them to everyone who asks." "Everyone was very helpful and friendly. David, Steve and Louis made sure I was comfortable with and understood what was being done. This was a large, difficult project. I am confident it was done right." Darrow Heating & Cooling offers our Clarksville customers residential and commercial heating & ac repair, maintenance and installation of new systems. The professionals at Darrow Heating & Cooling are always ready to keep your family comfortable. Save money while ensuring comfort for your family and protecting your Clarksville Heating & Cooling System. Cleaning your furnace filter is not very difficult to do, although, depending upon what kind of furnace you have, some of you may get a little dirty. Actually it is a good thing that they are easy to clean because if you live in a cold climate you should be cleaning it up once before winter and then about once a month during those cold months when the furnace is constantly working. Whether you live in Clarksville, TN or somewhere close by we are ready to help. 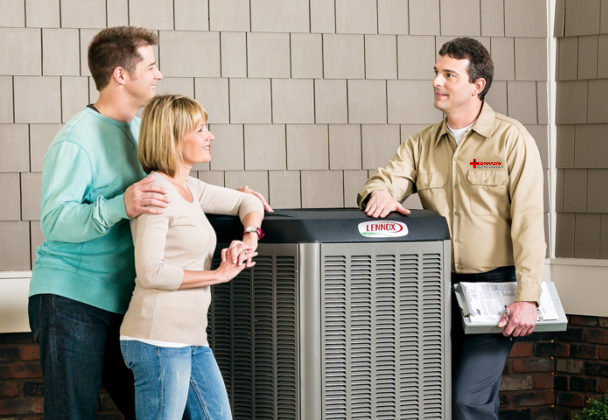 Our highly trained technicians are available 24/7 to keep your heating & cooling system running smoothly.